Heed to yourselves, lest at any time your hearts be overcharged with surfeiting, and drunkenness, and cares of this life, and so that day come upon you unawares. Snares of this world encircle us on every side – but snares are traps. Snares are baited. They should not have to come upon us by surprise. Snares entrap the careless one that is not vigilant in watching. Snares are spring-traps that lie in wait to catch its victim. 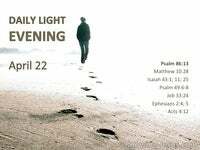 Be careful – we are warned that the Lord’s coming is not like a spring-trap. Be careful – lest His return catches you in the same way as a set trap, for we can be caught unawares if we do not guard our hearts. And these warnings are burning embarrassments for the one who seeks holiness. 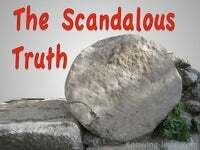 The things that can easily entrap us are listed as the excesses of careless living.. lest at any time your hearts be overcharged with surfeiting /dissipation /excess.. lest at any time your heart be overwhelmed with drunkenness – lest at any time your heart be overwhelmed with the cares of this life. We would do well to keep in mind this warning of the world’s is deep entrapments. The first snare is to do with surfeiting / dissipation / excess / self-indulgence. Surfeiting means to dissipate/ to throw away / to squander / to disintegrate… but this warning against the physical excess can translate into a spiritual warning. 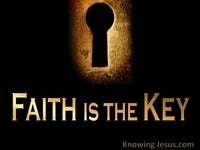 Each believer has a life – a saved life which can be used or squandered away. Each servant has talents – which can be used to His glory or wasted unwisely. Each Christian who does not die to self – wastes rather than increases their talents. Such a one prevents or quenches the work of the Holy Spirit in their life. Such a one pours contempt on the grace of God if they neglect to guard their hearts. The next snare is drunkenness / intemperance which is so often a form of escapism, but the warning against the physical act can translate into a spiritual warning. It is often linked in the physical with a refusal to face the realities of life. It can be confirmed in the spiritual with a similar blindness to the realities to come. And ignoring the warning to ready for His return at all times is the spiritual equivalent. For we are cautioned to be ready at all times in an attitude of unceasing prayer. Each believer has a life that needs honing – yet spiritual realities are not always faced. Each servant has talents to use – yet opportunities to live for Christ can be wasted. Such a one who does not put on the new man and put off the old – grieves the Spirit. Such a one that doesn’t face the spiritual realities of life – ceases to guard their heart. The final snare is to permit the trials of this life to overwhelm us with worry, lest at any time your hearts be overwhelmed with the cares of this life. And the caution against the physical sin translates into a spiritual warning. We must not allow the worries of life to encumber us with a need to ‘do it ourself”, Pre-occupation with the problems of a life excludes a need for faith in God. 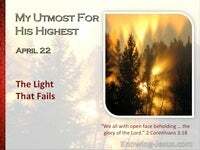 How many believers in all honesty are watching for the coming of the Lord? Yet in their calculations and opinions they ignore the warning of the Spirit ? How many are watching for an event, and yet fail to guard their hearts? 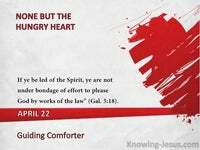 How many are neglecting the needs of the soul, to satisfy the lust of the flesh? 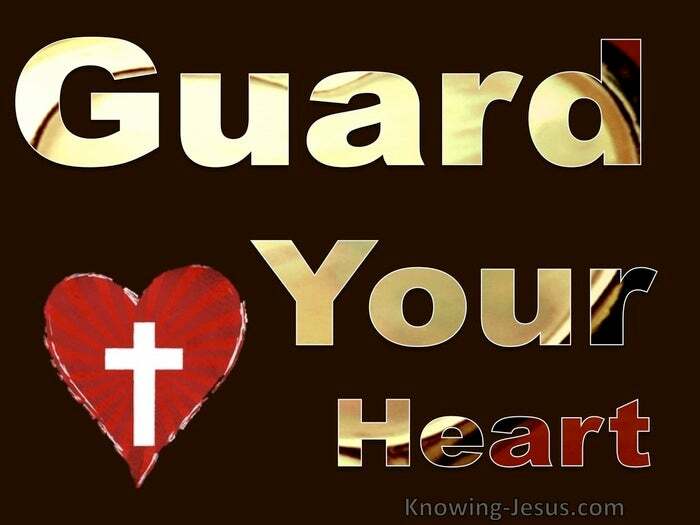 How many are truly guarding their hearts, by laying up treasure in heaven? How many realise that without watching rightly the day will catch them out? But Scripture always confirms itself by the mouth of two or three witnesses and Paul tells us: let us not sleep, as others do, but let us watch and be sober.” But you, are not in darkness, so that this day should overtake you as a thief For those who sleep, sleep at night, and those who get drunk are drunk at night” 1Thess.5:6. Many people are schooled in the second coming of the Lord. Many have sung praises to the long-awaited Christ – our long expected Jesus. Many earnestly have prayed “Maranatha” for the arrival of that time… but that in no way prepares a saint spiritually for Christ’s return – that does not guard the heart of a saint sufficiently. And sadly, many have not prepared their hearts. Many have become overcharged with ‘dissipation’, and ‘drunkenness’, Many have become ensnared with the ‘cares of this life. Let us moment by moment prepare our hearts. 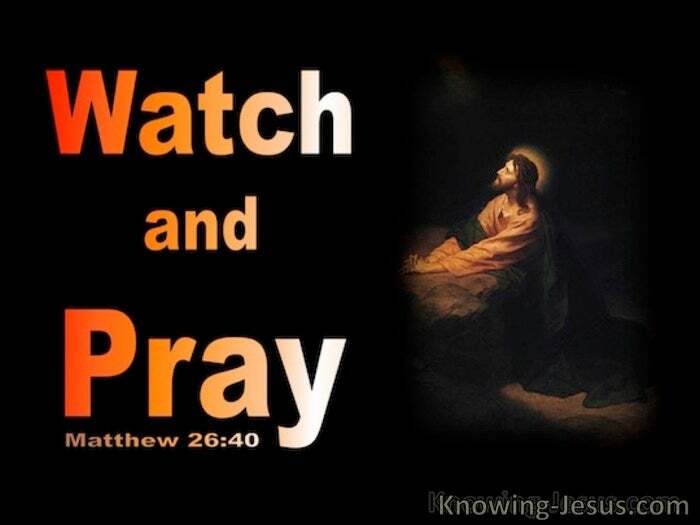 Let us day by day heed the Lord’s warning :- And Let us “Watch” in every season and “Pray”.